In this review we will take a look at Strange Daze, Out of Minnesota, Strange Daze began as a 3 piece band who performed mainly cover songs. Now two albums in and a newly inked record deal with Sony, Strange Daze are firing up for the re-release of Shine Through, a 12 track album produced by Bobby Capps of 38 Special. Capps also enlisted the help of 3 Doors Down guitarist Chris Henderson to bring this album to life and allow the band to flow naturally from one song to the next. With star power like that and charting over 260 radio stations nationwide, Contrast CTRL can’t help but notice this 4 piece band that came from humble beginnings to rock stardom in the course of a few years. 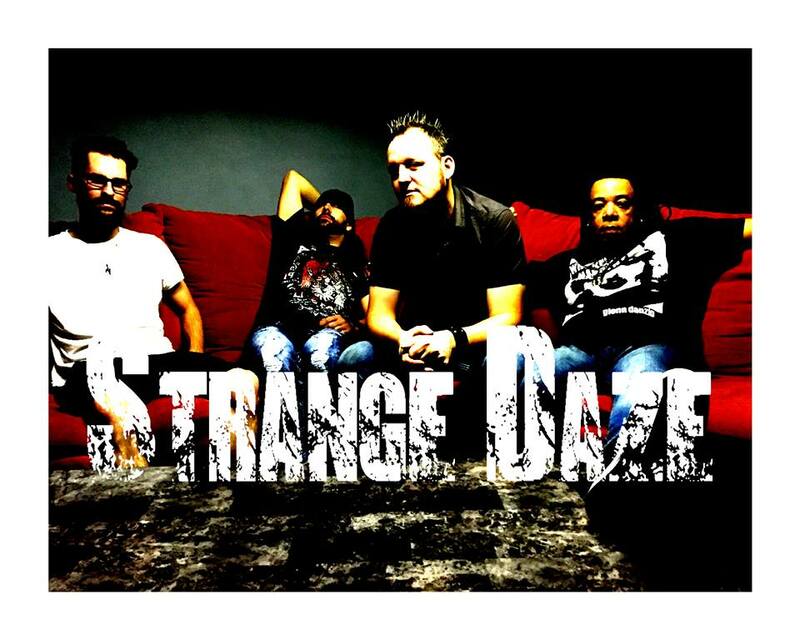 Strange Daze provides a mix of Modern/Southern rock flare with a touch of their own style and the familiar tones of bands such as: 38 Special, Black Stone Cherry, Stone Temple Pilots, and Collective Soul. While those are what the band closest mimic in songwriting, Strange Daze make it their own when instrumentally attacking each song from front to back allowing the listener to feel confident that this isn’t a cookie-cutter experience to be had, but a true Rock n Roll sound that is slowly vanishing from today’s music market. With songs like Stories, Beautiful and Satellite Soul, Strange Daze bring forth a good roots Rock N Roll experience as the drums solidify the foundations of guitars and bass and vocals into a blissful harmony of southern rock. Songs like “I” bring more of that 90s alternative rock sound familiar from the likes of Stone Temple Pilots and Pearl Jam. “Lost” provides a somber lyrical theme of expressing how you feel despite feeling lost in emotion and thought. This track proves to be one of my favorites as it brings soft and edgy Modern Rock to the fore instrumentally and keeping the songwriting and vocals smooth and consistent throughout. Being a fan of all the bands referenced in this review, I can clearly hear and appreciate the influences that helped create the songs on Shine Through. Most Notably is that touch of veteran keyboard player Bobby Capps as the band has that touch of 38 Special in their choruses and slowed down groove moments. New Release recalls the more pop influenced songs from Black Stone Cherry as funky guitars and ground shaking drums drive the song into a fun direction as all the elements that make this band unique are vivid and alive. If there was one song to make a single, this would be it. But that’s just my opinion. “Home” is the conclusion to a beautifully solid and rocking album as Vocals of Eric Mouldry and Scott Knudson bring the softer side to things lyrically and harmoniously. The Drums everyone! Those drums throughout the album are persistent, not overly voiced or mixed or saturated to the point of feeling like it’s too much. The guitars are subtle at some points of each track allowing vocals or bass to jump in and steal the show. It’s straight up Southern Rock in most regards and Alternative of 90s fashion the next. Strange Daze is more than just a skin deep band. They are a unique band in their own right. Shine Through is a good example of providing fun songs that rock and not overly just from one genre to the next. Those are my thoughts of course. 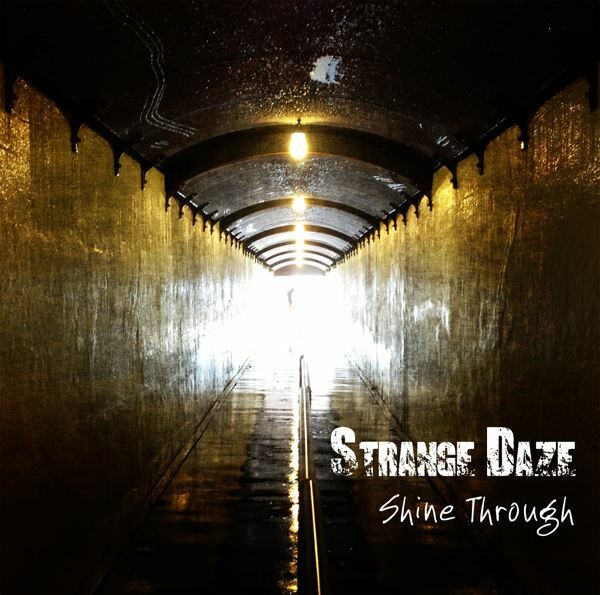 While I enjoyed the work Strange Daze put into Shine Through and the star power that helped this band recognize new potential and creativity, it’s up to you to take a listen and find what you enjoy out of it. Personal Favorite Tracks: Satellite Soul, Home, Welcome Izabelle, Stories, New Release, Your Love, Another Day. Album, Alternative, Contrast CTRL, Modern Rock, Review, Shine Through, Strange Daze. Bookmark.